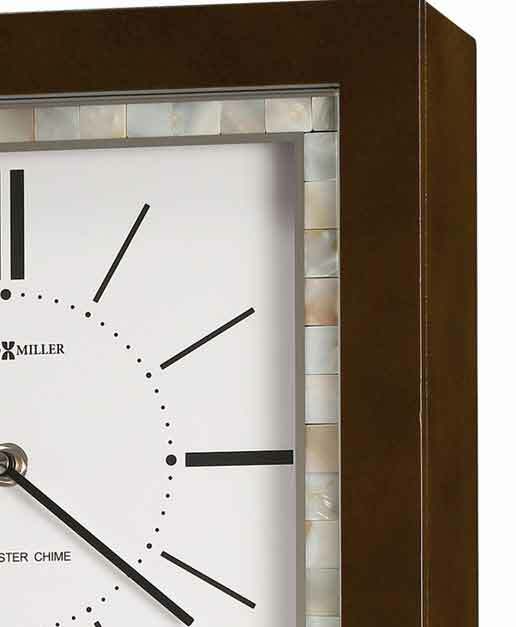 The Howard Miller Holden is a modern, rectangular wall clock and is finished in Espresso on select hardwoods and oak veneer and features mother of pearl trim beneath flat glass and framed by two mirrored lines. 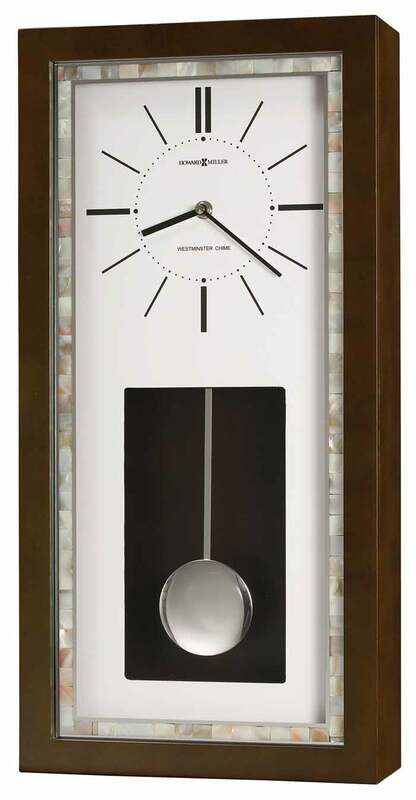 White dial with contrasting black bar hour markers, black hands and a cut-out that reveals a polished chrome-finished pendulum bob with silver-finished pendulum stick. 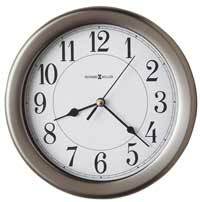 Accurate Quartz, battery-operated, single-chime movement plays Westminster chime on the hour and counts the hour. Automatic nighttime chime shut-off. Requires four AA sized batteries. One year full warranty and Free Shipping. 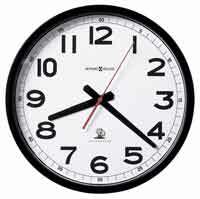 Clocks for sale at The Clock Depot including the 625-594 at discount prices.